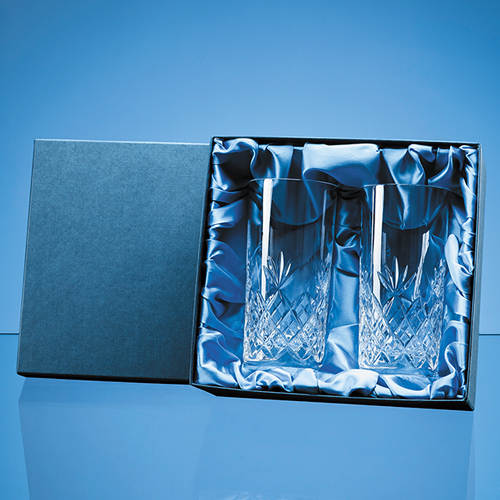 Get into the party mood with this classic Blenheim lead crystal cut high ball glass gift set. Two chunky straight sided 360ml glasses with an elegant diamond and wedge cut design will catch the light beautifully. Perfect as a gift for any occasion from a birthday, wedding or anniversary gift to a business gift, they sit snugly in a beautiful blue satin lined presentation box and will fit perfectly with other pieces from the Blenheim collection.